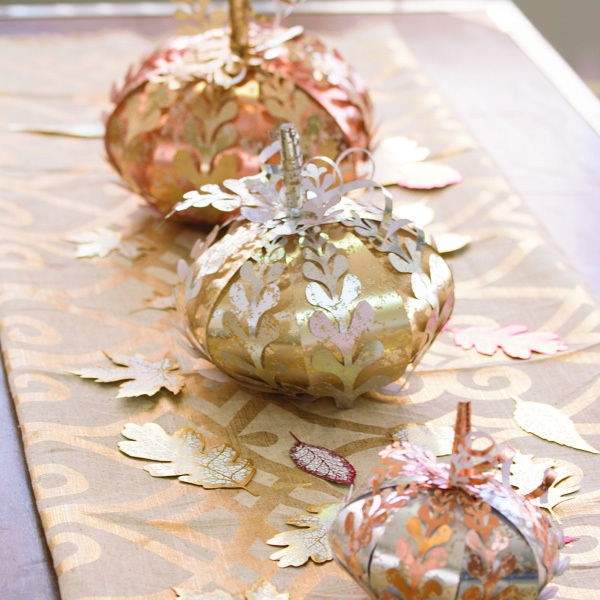 Create these beautiful mercury glass pumpkins to give your decor added style and class! These and other premium printed stacks by DCWV Inc. are available at Jo-Ann Fabric and Craft stores. Great for adding depth and dimension to your home in minutes! All you need is the glue...and any extra embellishments of your choice!